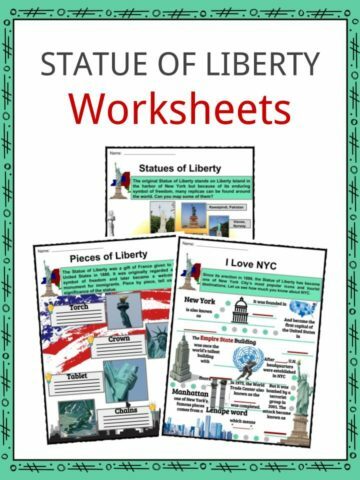 The Sons of Liberty was a political secret organization established in 1765. 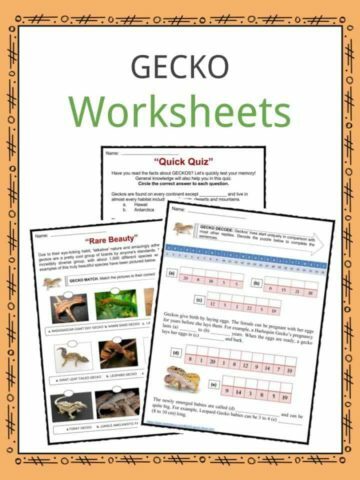 They criticized the imposition of taxes by the British Government to the colonists. 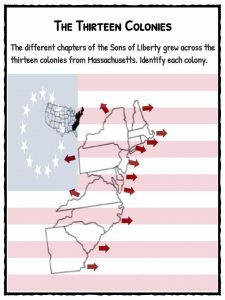 Prior to the establishment of the Sons of Liberty, the Loyal Nine composed of merchants and artisans who came together as a result of the rules imposed by the British government. The protest against the passage of the Stamp Act in 1765 formed the Sons of Liberty. 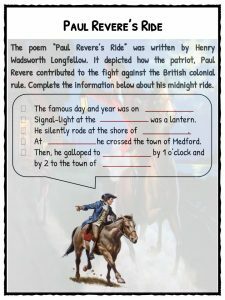 Patriots such as Samuel Adams, John Adams, John Hancock, Patrick Henry, and Paul Revere were some of its original members. 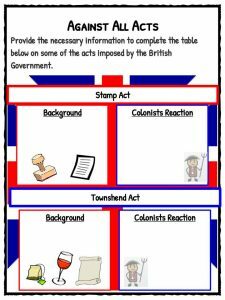 The Stamp Act was the tax imposed to all printed materials and documents which require stamps. The British government made such a step in order to gain money from the colonists due to the costs of previous wars. They started hanging effigies of stamp distributors to show their resistance until it was repealed by the Parliament. In 1768, the Townshend Act was passed, imposing tax on common goods such as tea, glass, and paper. This was closely followed by the Tea Act of 1773, which allowed the huge importation of the British East India Company Tea. 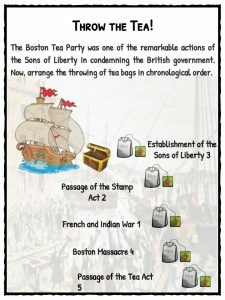 Later that year, the Boston Tea Party took place. The members of the Sons of Liberty dressed like American Indians threw tea into the sea at the Boston harbor. They also refused to buy goods coming from English cargo ships. Radical members engaged into ransacking the houses of British officials, hanging and burning of effigies, and smoldering public buildings. 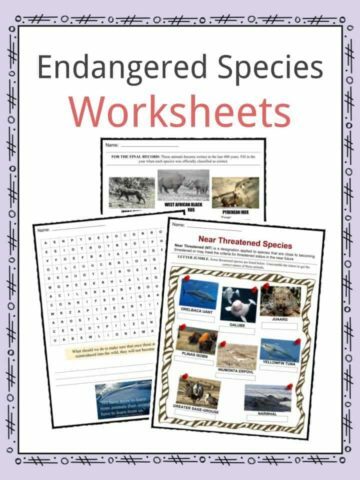 Others however focused on printed materials and recruitment of members across the thirteen colonies. 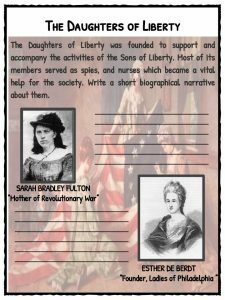 They contributed army men during the American Revolution wherein some females from the Daughters of Liberty served as spies and nurses. 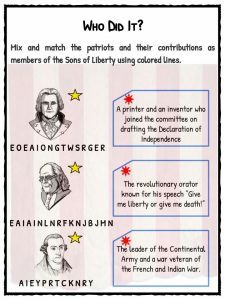 After the American Revolution in 1783, the secret group disbanded. 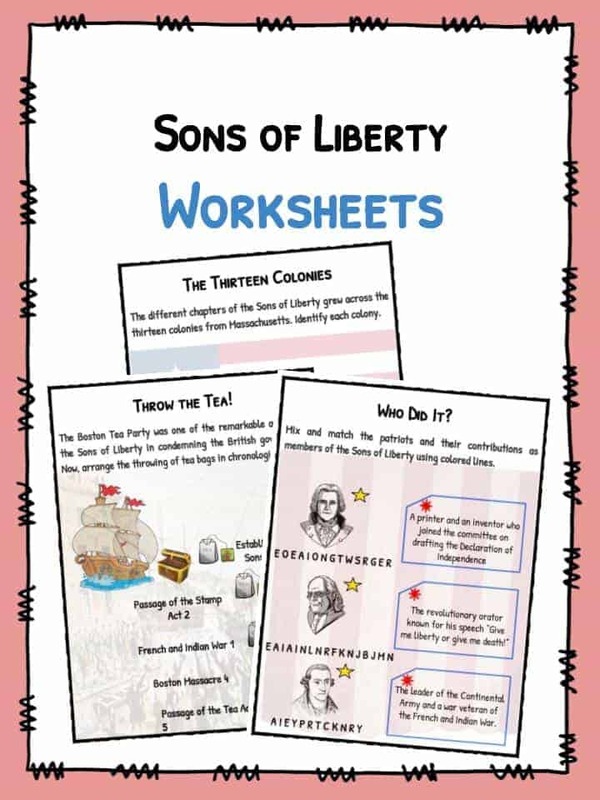 This bundle contains 11 ready-to-use Sons of Liberty Worksheets that are perfect for students who want to learn more about The Sons of Liberty which was a political secret organization established in 1765.